It’s a long way from Nairobi to Back, and a long way from a few curious folk on a wet Tong pitch on a New Year to a fully operational and competitive senior shinty side. Dr Alasdair Patrick Barden was born in the former British Colony in 1963 just weeks after independence. he was the Dux at Knox Academy in Haddington, and whilst studying medicine at the University of Edinburgh he became steadily more involved in Gaelic Language and culture. He married local girl Donna Campbell in 1993 on St Kilda (the first wedding since 1926 before the evacuation.) and became a much loved and respected GP in Stornoway, whilst building a house in Col Uarach. 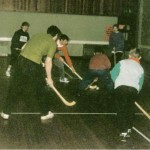 It seemed that the good Doctor had a penchant for reviving old traditions, and reading about the old New Year “Iomain Challainn” tradition of playing shinty on the New Year, Alasdair and Donna rounded up some enthusiasts and curious volunteers and re-established the tradition on January 2nd 1995. 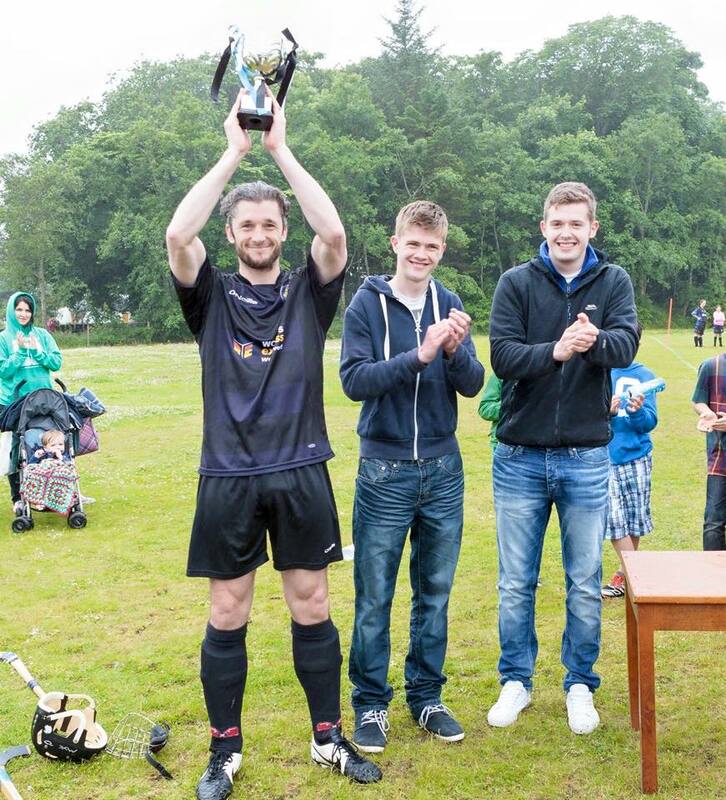 The score has been lost in the mists of time, but this was THE moment that shinty returned home. Dr Barden would go on to round up enthusiasts such as Boyd MacKenzie, Kenny Morrison and Neil Ferguson who had made their home on the island, and with their help would establish a range of clubs and competitions all under the banner of Comunn Camanachd Leòdhais. 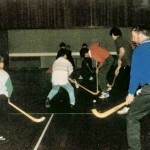 Training was held in the Tong Hall, and there were teams in Tong, Sandwick, Stornoway and Back all competing. There was the Dozen Cup and the once jewel in the crown of Hebridean Shinty The Lord of the Isles Trophy, which it is hoped to revive one day if it can be found in Uist. 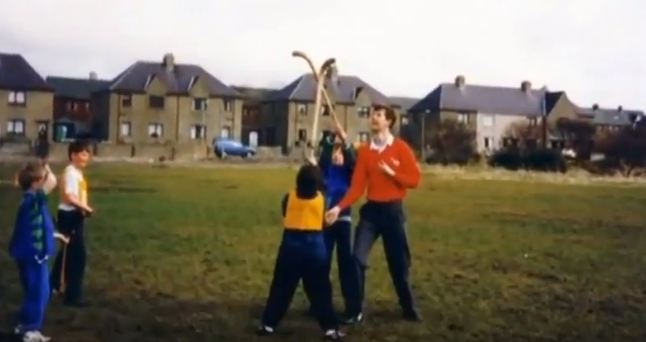 Many youngsters would gain their first experience of their native sport under the tutelage of this Gaelic learner from East Lothian, and this passionate and dedicated man left a legacy for shinty in the Western Isles which continues to this day. Sadly, Alasdair was killed in a tragic accident at the age of 34 in 1998. He left behind Donna and his young sons Dòmhnall and Tearlach. 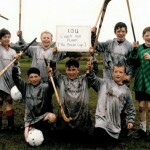 This was a great blow to the wider community, including the budding shinty community. 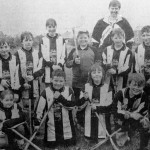 Donna would continue to support the sport in the coming years, but it was left to the likes of Boyd MacKenzie to soldier on and keep the shinty flame burning for the next 7 or 8 years before the present Comann Camanachd Leòdhais was constituted. Dr Barden’s contribution to Gaelic is marked by the Dr Alasdair Patrick Barden Memorial Salver at the Royal National Mòd for a song from Sutherland or Skye, and his sons presented the HebCelt Cup in 2015 to mark 20 years since their father’s revival of the sport and it was a touching moment to see two young Gaels mark their father’s legacy in this way. Open to all youth players from P2 upwards. Players from P6 and upwards can compete for the Dr Barden Trophy in teams allocated on the day. P5 and under players will take part in skills training and mini games. Registration from 10.30am. Competition starts at 11.00m. Awards Ceremony at 1.00pm. Soup and sandwiches, teas, coffees and home baking. A silver collection will be held with proceeds being split between the Samaritans and the Club. We hope that you come along and pay tribute, and see the newest generation of Leòdhasach shinty stars start their journey.